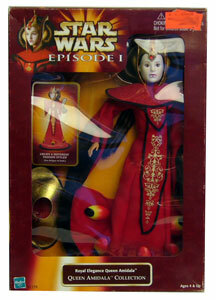 Description Of Item: Queen Amidala Collection barbie dolls from the Episode I. Collect Queen Amidala in all her elegance showing off the different costumes she wore during the Phantom Menace. Some Shelfware.